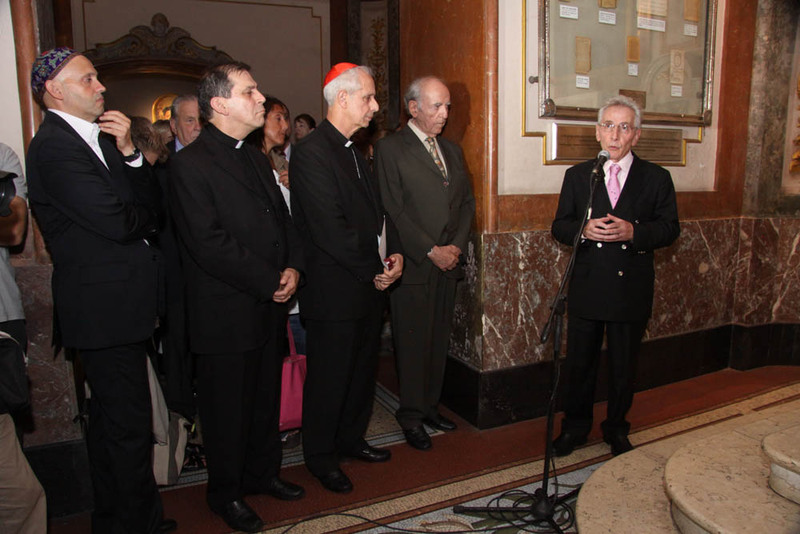 On the February 28th, 2014, the International Raoul Wallenberg Foundation and the Archdiocese of Buenos Aires organized an interfaith ceremony at the Metropolitan Cathedral of Buenos Aires in the memory of Cardinal Antonio Quarracino (1923-1998) on the anniversary of his death. 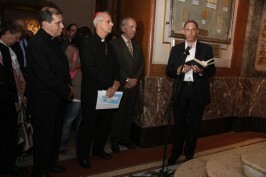 The ceremony was conducted by the Memorial Mural to the Victims of the Holocaust, inaugurated by Quarracino in 1997, following an initiative of Baruch Tenenbaum, the founder of the IRWF. The mural is located in the Chapel of the Virgin of Lujan in the main Catholic temple in the country. 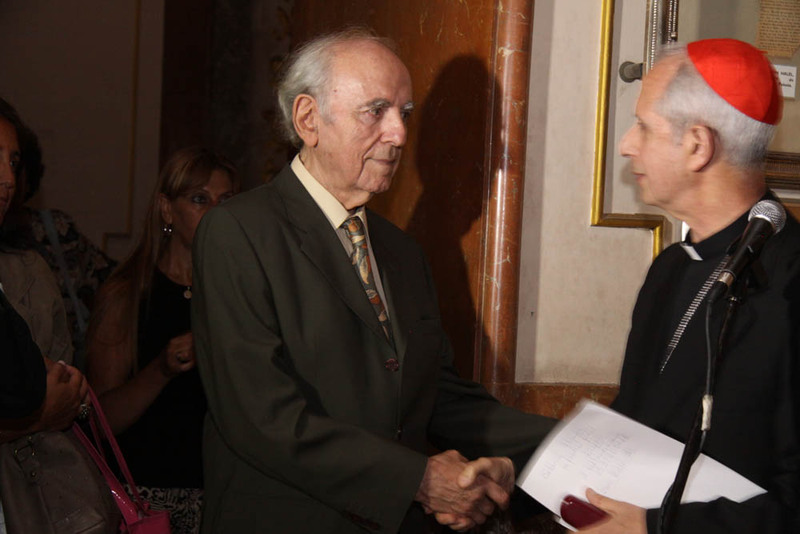 Quarracino was remembered for his work in fostering inter-religious dialogue. 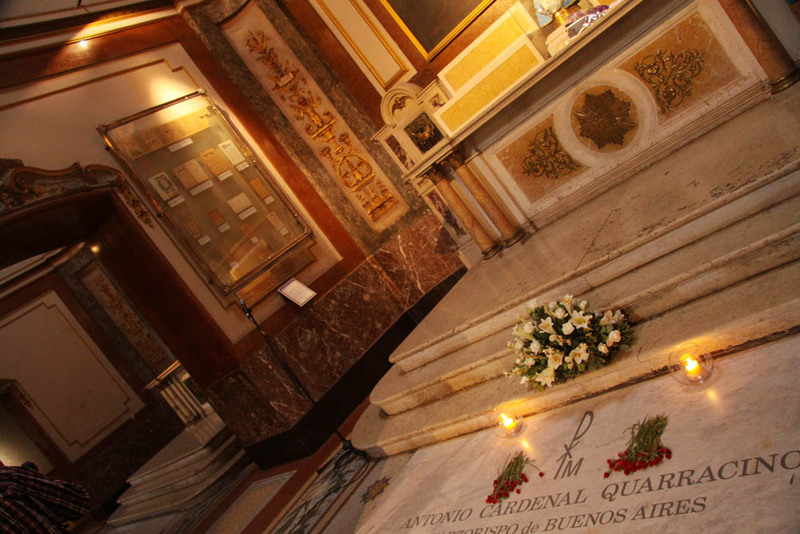 In an atmosphere of deep reflection and recollection, over a hundred people gathered in the chapel where the remains of Cardinal Quarracino are buried. 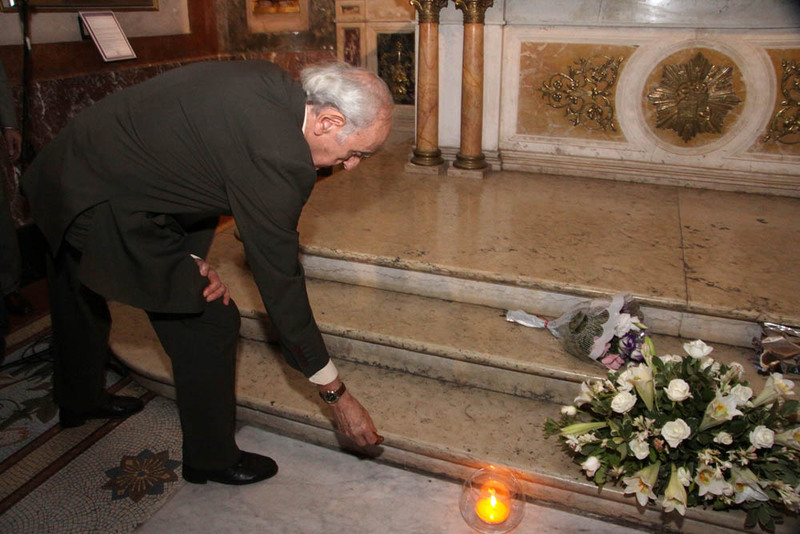 The chosen date not only coincided with the day of the death of former primacy, but was the one suggested by Pope Francisco to Tenenbaum and Eduardo Eurnekian, chairman of the IRWF, during a conversation that two of them had in Vatican in September of 2013 with the Pope, one of the first honorary members of the foundation. The Cardinal Primate of Argentina Monsignor Mario Poli; Sergio Bergman, rabbi of the Jewish Congregation of Argentin; Father Fernando Giannetti, head of the Commission for Ecumenism and Interreligious Dialogue of the Archdiocese of Buenos Aires; and writer Argentine Marcos Aguinis all took part in the ceremony. 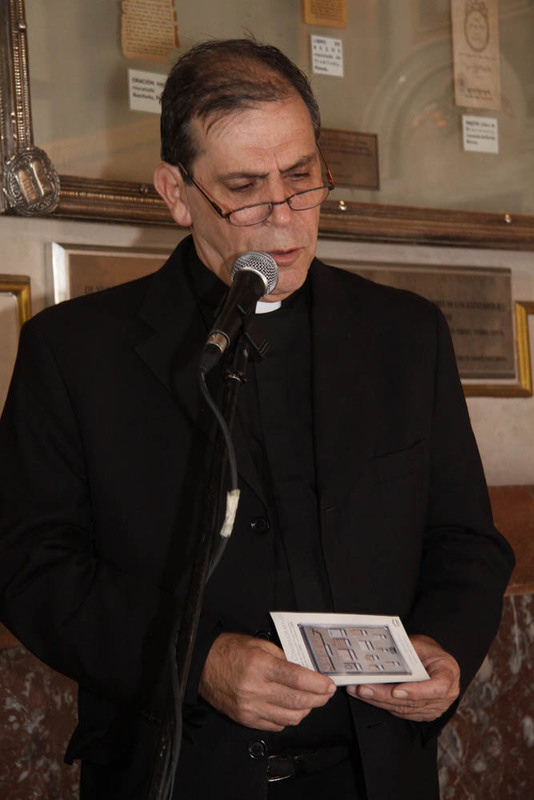 In an unprecedented event in the history of Jewish- Catholic relations Rabbi Sergio Bergman recited the Kaddish for Cardinal Quarracino in both Hebrew and Spanish. The Kaddish is a prayer recited for the dead and this time, exceptionally, it was recited in a memory of a Catholic person. It is the first time the Kaddish is recited in Hebrew in the Metropolitan Cathedral of Buenos Aires. 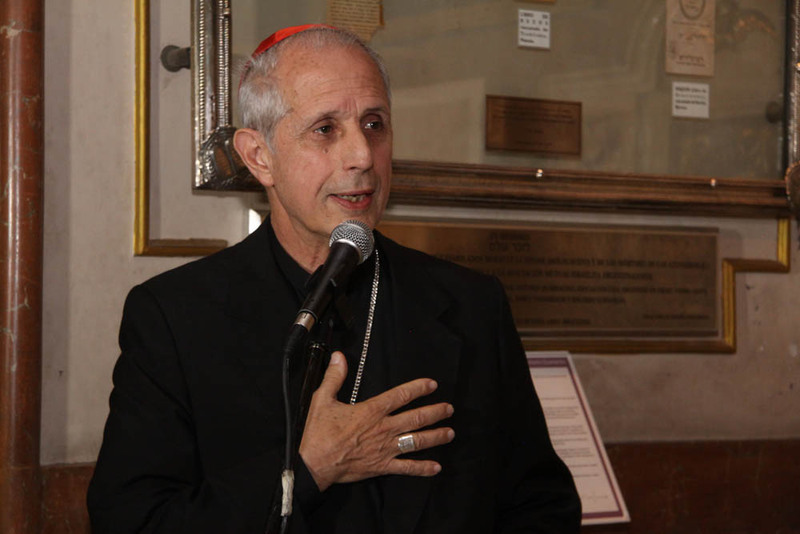 Cardinal Poli, the father Giannetti, Rabbi Bergman and Aguinis remembered with heartfelt words the life and work of Cardinal Quarracino, particularly his commitment to promote the interfaith dialogue. They ceremony was attended by the community leader and founder of the Raoul Wallenberg Foundation, Dr. Natalio Wengrower; engineer Oscar Vicente, president of the Casa Argentina en Israel Tierra Santa; the Ambassador of Greece Eleni Leivaditou and her husband, Alexis Bulgari; the counselor of the Embassy of Israel, Ofer Moreno; Holocaust survivors David Galante, Thomas Kertesz, Laszlo Ladanyi and Myriam Kesler; Nina Olsen, political and cultural advisor for the embassy of Denmark; and Avruj Claudio, President of the memory of the Holocaust Foundation; among many others. 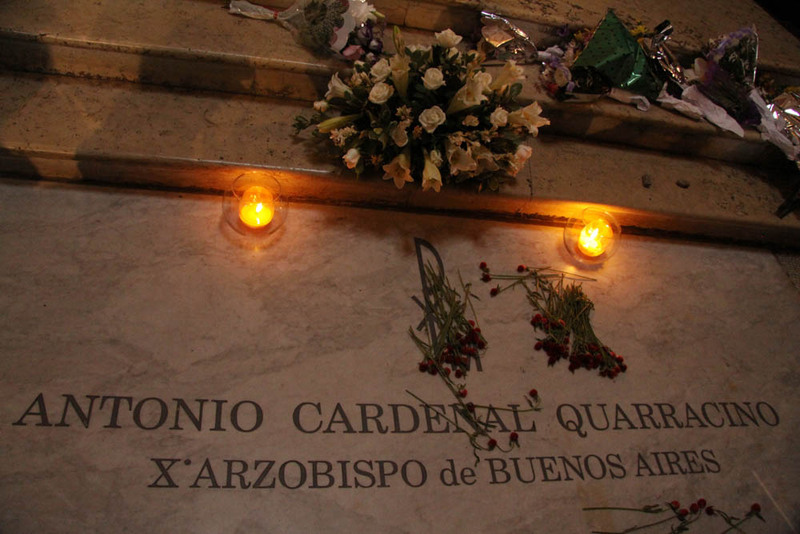 The ceremony was conducted in the same place where in April of 1998, Cardinal Bergoglio commemorated the first anniversary of the inauguration of the Mural. 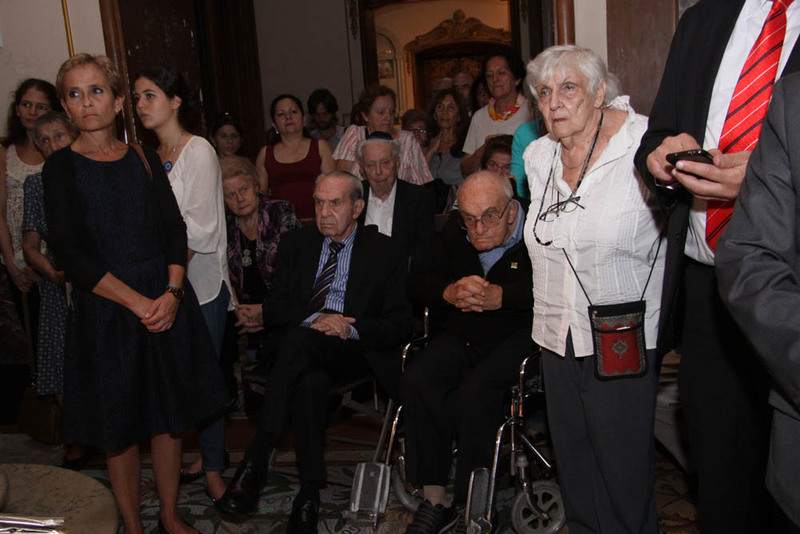 During the ceremony it was announced that in July of 2014 the Wallenberg Foundation will plant a tree dedicated to Cardinal Quarracino in the gardens of the Vatican. The chosen species is a willow from the Argentinian province of Jujuy, donated by the director of the Botanical Garden of the city of Buenos Aires, Graciela Barreiro, who attended the ceremony. The Memorial of the Victims of the Holocaust and those killed in the attacks on the Israeli Embassy and the AMIA, the Mural is an example of coexistence in a world in need of concrete gestures of understanding and respect for differences. 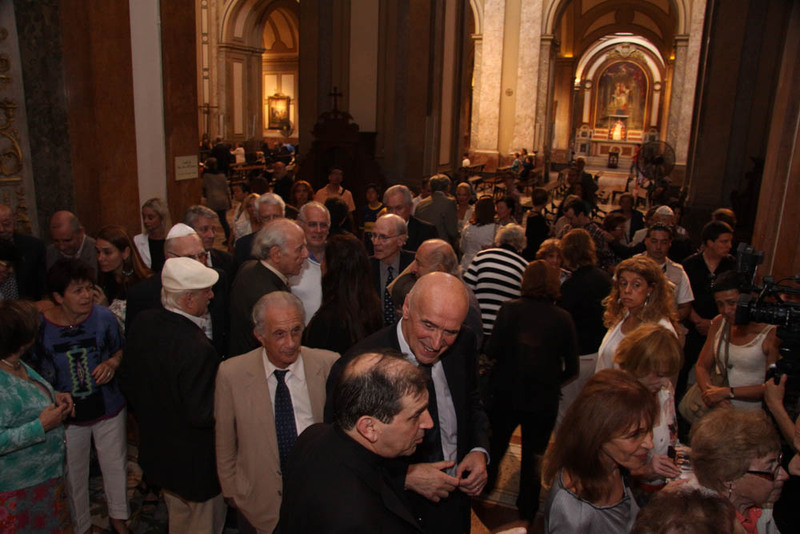 The Mural, artistic monument unprecedented in the history of Jewish- Christian relations, was inaugurated by Cardinal Antonio Quarracino on the 14th of April in 1997, and was preserved thanks to the determination of Cardinal Jorge Bergoglio. Its author is the master goldsmith Carlos Pallarols. Its dimensions are 1.80m long by 1,20m wide. It consists of two panes of glass between which lie the leaves of the prayer books rescued from the ruins of the concentration camps of Auschwitz and Treblinka, and the Warsaw Ghetto. A replica of the mural was installed in 2004 at the Berlin Vaterunser church by Pastor Annemarie Werner. Baruj Tenembaum y S.E. 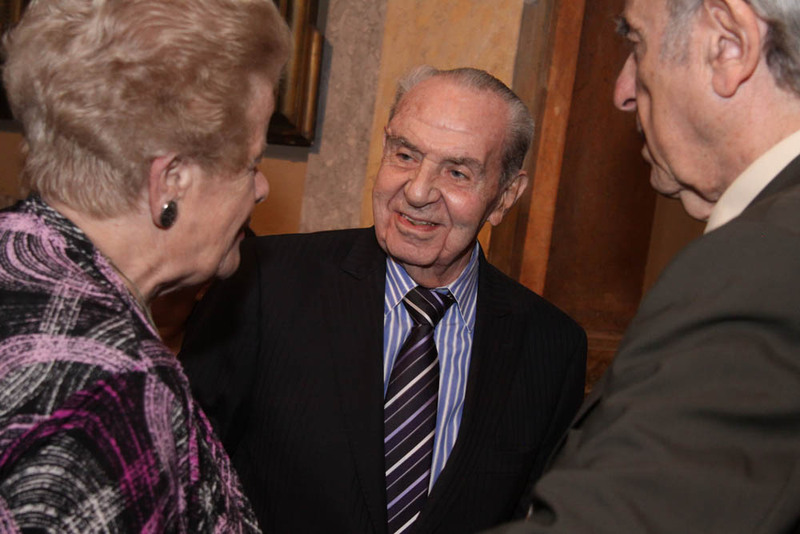 Monseñor Mario Poli.. 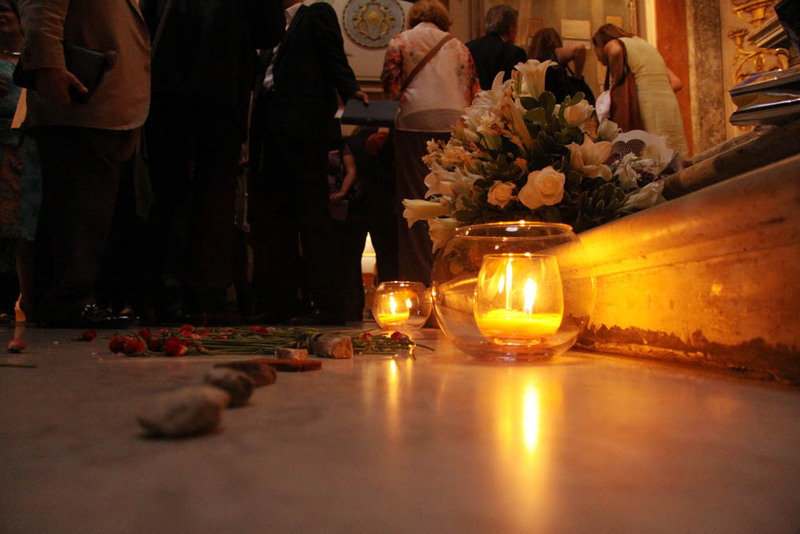 The Kadish inside a church. An extraordinary case. 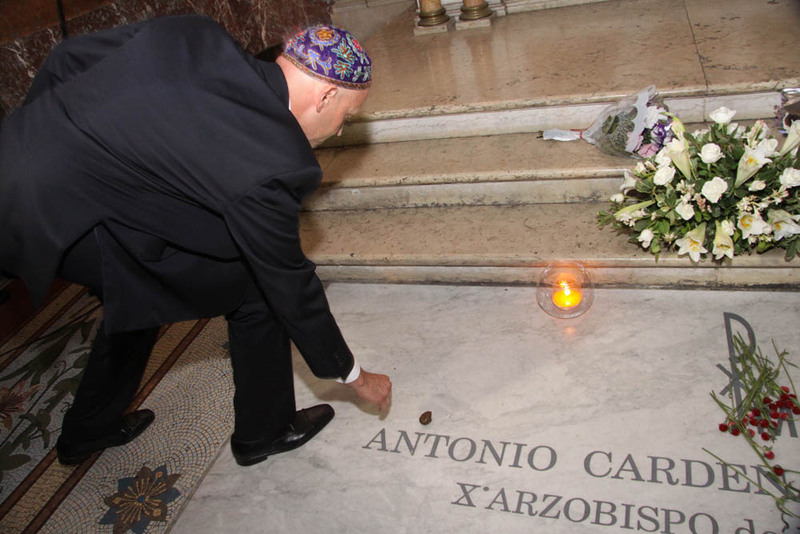 During the ceremony in memory of Cardinal Quarracino Rabbi Sergio Bergman recited the Kaddish, an extraordinary fact, not only because it was spoken in the memory of a Catholic, but also for the place where the prayer was uttered. Kaddish is one of the most famous prayers. It is a prayer that is recited for the dead. The text is in Aramaic, the language of the Jewish people in the Talmudic era in which it was created. This is a prayer for all those who died that makes no mention of death, loss or grief, or the person who died. The Kadish speaks of the greatness of God, but does not mention it. It is a statement of profound emotion and meaning for those suffering the loss of a loved one because it acts as a bridge between those who stayed and those who have died. To recite Kaddish is a symbolic act of love and respect that the living can offer to the departed. In 2009, in an unprecedented event, the International Raoul Wallenberg Foundation organized the recitation of Kaddish by the Wailing Wall in Jerusalem, for the soul of the Raoul Wallenberg’s brother, Guy von Dardel.